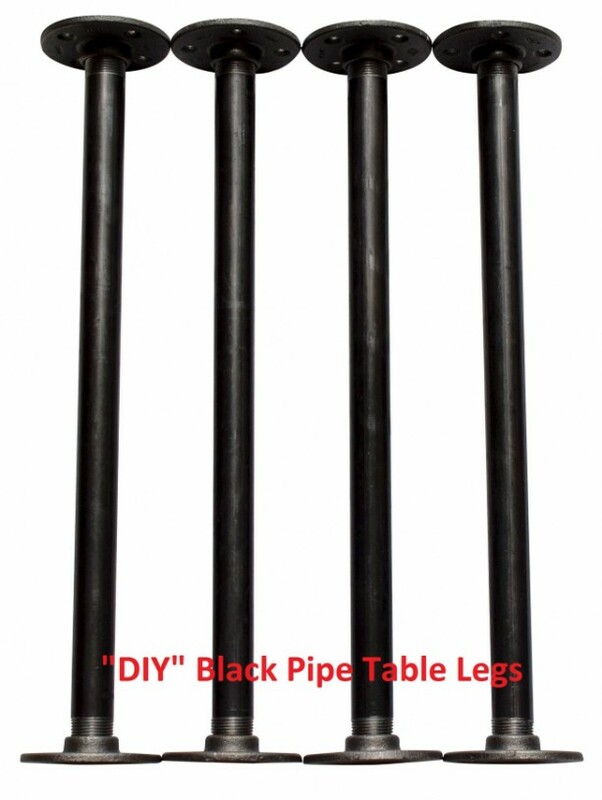 Are you thinking about building a dining room table, coffee table, bar or anything that may require table legs? Than you found the perfect solution and the easiest way to complete your project! 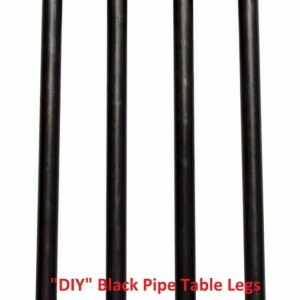 Very economical and sturdy construction make these table legs a must have for your "DIY" masterpiece. 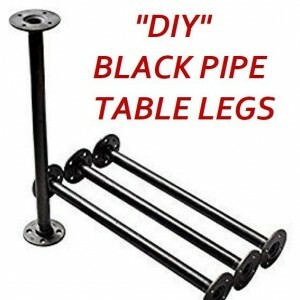 Black Pipe Legs, INCLUDES 4 Table Legs - 3/4" x 30" "DIY" Parts Kit Perfect For: Tables and/or stacked shelving Industrial Black Metal Pipe Fitting 3/4" DIY Kit CLICK BELOW FOR MORE OPTIONS https://www.etsy.com/listing/531244301/black-pipe-table-base-diy-parts-kit-30?ref=shop_home_feat_1&pro=1 Custom sizes available upon request. Add 1/2" to the overall length with the round flanges attached. No Tools Needed to Assemble!! Simply assemble parts by hand by screwing them together. Many more table leg/table base options available in my shop. Click on the link below. 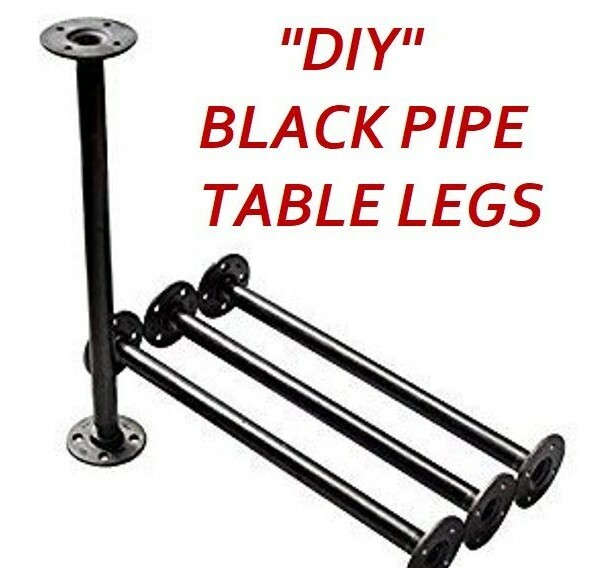 https://www.etsy.com/shop/PipeLineDesignStudio?ref=seller-platform-mcnav Easy Do It Yourself Projects : Coffee Tables, Side Table, Pipe Furniture, Industrial Table, Shelf, Table Legs, Night Stand, Furniture Legs, Bench, Metal Table Legs, Industrial furniture. 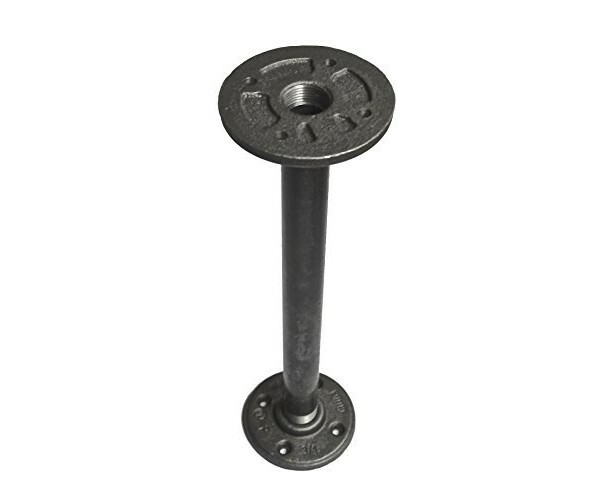 Shop Table Legs for industrial strength durability. 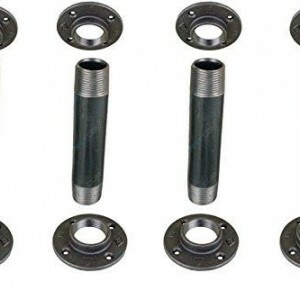 Assemble and screw pipe flanges directly to your wood boards. 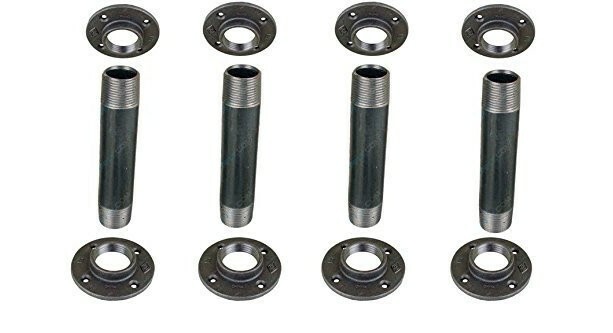 MORE LISTINGS FOR BLACK PIPE @ https://www.etsy.com/shop/PipeLineDesignStudio?ref=hdr_shop_menu Pipe Kit comes with 8- 3/4" floor flanges & 4-3/4" threaded pipes to fit the flanges. 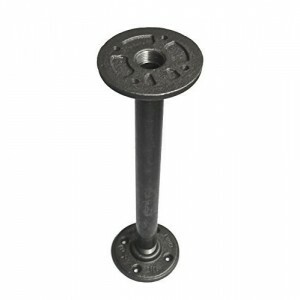 Industrial black plumbing pipe fittings that can be used for home projects to create coffee tables, side table or any table for heavy duty stability (not cheap flimsy legs). 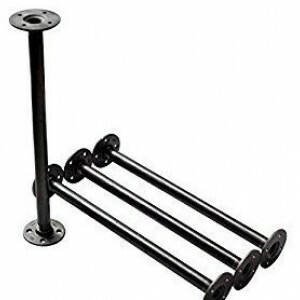 You can also use the piping for shelves, furniture, night stands, retail displays, metal table legs, pallet tables, table legs, furniture legs. Many uses for this construction grade pipe. Urban, Steampunk, Loft style, Industrial interior decor. **Assembly is required and cleaning of pipes/fittings is recommended.Please reference the Q & A section in my Etsy shop for instructions on cleaning and more details regarding the black pipe products sold in my store.